StepDad knows best. 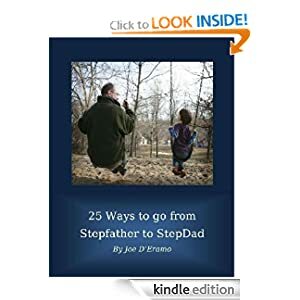 Plymouth, MA resident Joe D’Eramo authors “25 Ways to go from Stepfather to StepDad”. With blended families becoming more and more the norm, saying “I do” for many single men means becoming a husband and a father as well. Instantly. 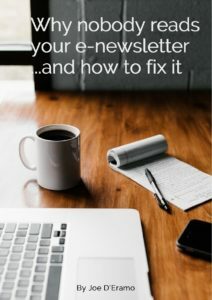 Plymouth, Mass.-resident and step-parent of two Joe D’Eramo recently published a new e-book, 25 Ways to go from Stepfather to StepDad, to offers some helpful suggestions for soon-to-be or newly married men who are becoming husbands and fathers for the first time. 25 Ways to go from Stepfather to StepDad sells for $9.95 on Amazon as a Kindle book (Kindle also offers a free app that enables customers to read e-books on their PC). Following your spouse’s parenting lead. All of the material covered in the book is based on D’Eramo’s experiences helping to raise his two stepchildren, a task that took on another dimension with the birth of his daughter nearly six years ago. In addition to 25 Ways to go from Stepfather to StepDad, D’Eramo, a Framingham State University graduate, also penned Recipes for the Roommate-Impaired, available on Amazon.com as a paperback. Visit the 25 Ways to go from Stepfather to StepDad Facebook page, https://www.facebook.com/pages/25-Ways-to-go-from-Stepfather-to-StepDad/262404817174765, for more information. Filed Under: Blog, Press releases Tagged With: "my step dad", "step dad", "step dads", "stepdad daughter", "stepdad", "stepdads", "stepdaughter stepdad", "the stepdad"